It’s hard for a gamer to find a good graphics card right now. I should know. It took me a solid month of searching back in December to secure an Nvidia GTX 1070. The shelves of my local Best Buy were bare and the online retailers were backsold. Eventually, I walked into a store on the right day at the right time and purchased the only graphics card they had. An associate had to pull it out of locked glass case. 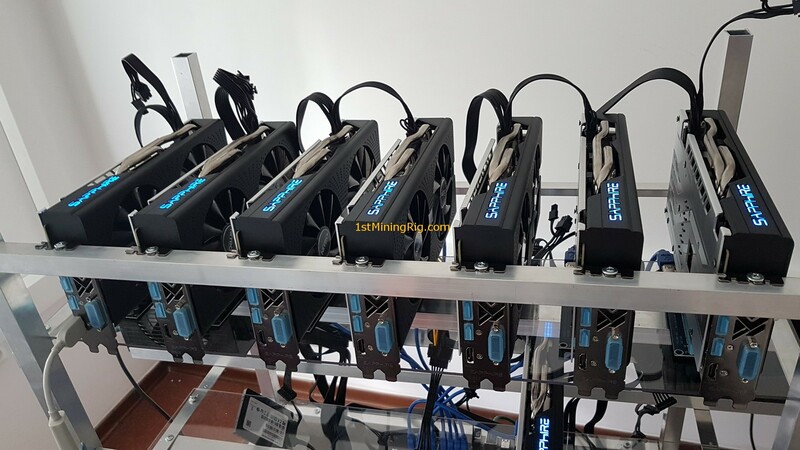 As we reported back in June of last year, this shortage in graphics cards is being indirectly caused by the skyrocketing value cryptocurrencies. The same cards that make PC games look amazing can also “mine” (or generate) digital coins like Ethereum and Zcash, so cryptocurrency miners are buying them in bulk and leaving few behind for gamers. Graphics cards manufacturer Nvidia is apparently well aware of this, and recently recommended that retailers prioritize gamers over miners. "For Nvidia gamers come first," Nvidia spokesman Boris Böhles told German hardware website ComputerBase last week. "All of our activities around our GeForce-products are directed towards our main target group. To ensure GeForce-Gamers continuously have access to GeForce-graphic cards even in the current situation, we recommend our trading partners to take according measures to ensure they can provide the needs of gamers per usual." Böhles was responding to the practice of retailers limiting customers to only one or two GPU purchases at a time. As of this writing, online retailers Canada Computers & Electronics and Caseking only allow customers to buy two graphics cards (keep in mind that that it's not entirely uncommon for PC gamers to use two high-end GPUs in the same machine). B&H is sold out of most graphics cards and only allows customers to buy one at a time. Motherboard reached out to Nvidia via email to ask if the company is recommending that retailers prioritize gamers over miners, and how it plans to address the current GPU shortage, but the company declined to comment. As of this writing, it’s all but impossible to find a decent graphics card online. Shopping for a GTX 1070—one of Nvidia's most popular models—is frustrating. Amazon’s listings are mostly filled with third party retailers selling cards at inflated prices. It’s the same on Ebay. Popular hardware retailer Newegg is also widely sold out, but has some listings for bundles of six graphics cards—a package that costs more than $5,000. No gamer needs six high power graphics cards. Nvidia is, understandably, in a weird position. Gamers are its core market but it can't keep up with the current demand from mining rigs. Even if Nvidia could theoretically increase production to meet this spike in demand, cryptocurrency value is still volatile. If cryptocurrency values crash, Nvidia could be stuck holding too much stock of a technology that tends to age quickly.